Dominic Saraceno holds both a law degree from Georgia State University Of Law and a Masters in Business Administration from the University of Buffalo. He has been practicing criminal defense law in New York State since 2001. Mr. Saraceno has often appeared on local television, the Buffalo News, and the Niagara Gazette defending his clients in high profile criminal defense cases. Mr. Saraceno’s aggressive defense of his clients has helped many of his clients minimize their sentences or have charges dismissed outright. Dominic Saraceno has been a member of the Erie County Bar Association and the New York State Defender’s Association since 2001. 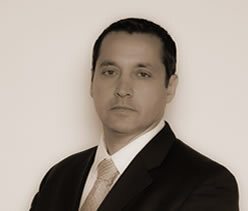 Mr. Saraceno’s legal career has shown a man who has great concern to personal attention and care of his legal clients. His personal cell phone is always there for his clients to call.